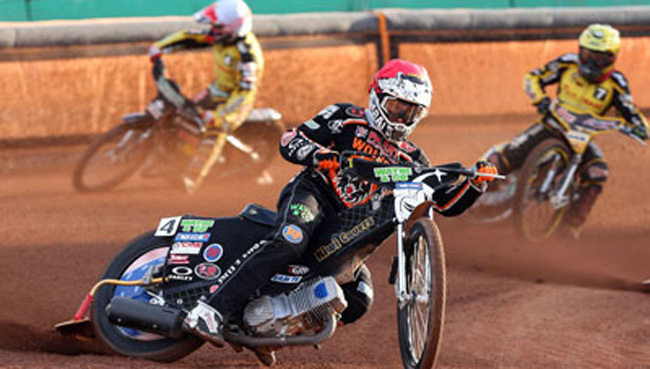 WOLVERHAMPTON saw their disappointing run of form continue as they were condemned to 50-40 defeat at the hands of Coventry at Monmore Green. 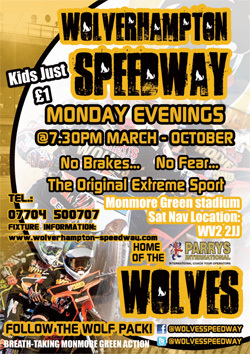 The Parrys International Wolves entered their first home meeting in over a month in desperate need of a win to boost their play-off hopes. They hit the ground running as they raced into an eight point lead early on – but they were soon pegged back by the high-flying Bees before conceding four 5-1s in the final five races. It was another tough night for Peter Adams’ side as they lacked the firepower required to overcome their table-topping Midlands rivals. And although he could not fault the effort of his side, team boss Adams admitted they were hugely disappointed by their defeat. Said Adams: “The team showed a lot of fight, particularly in the first two thirds of the meeting, but Coventry are terrific team and it just wasn’t quite enough in the end. “It’s not any consolation, but they’ve been winning everywhere else this season as well so it’s hardly surprising. 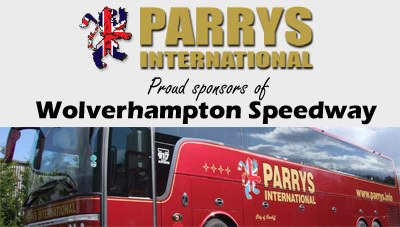 Second string duo Ricky Wells and Jacob Thorssell put in solid showings – each notching two wins apiece to comfortably outscore their Coventry counterparts. Reserve duo Lewis Blackbird and Josh Bates also impressed early on after striking a 5-1 in heat two to help Wolves initially take an eight point lead. 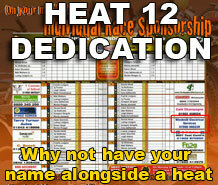 Yet they conceded a maximum when they met the Bees reserves again in heat 12 as the hosts faded in the closing stages. Swedish duo Peter Karlsson and Freddie Lindgren both struggled for speed as they failed to record a race win, whilst Tobiasz Musielak also endured a night to forget on his return to Monmore Green following his broken collarbone. 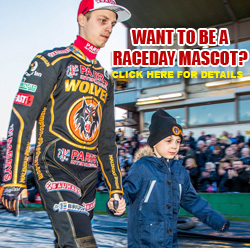 With Chris Harris striking a faultless paid maximum plus fellow heat-leaders Hans Andersen and Joonas Kylmakorpi both notching double figures for the visitors, Wolves unfortunately fell short leaving them still seventh in the Elite League table. They will now travel to Swindon looking to get their campaign back on track on Thursday before hosting Leicester at Monmore Green next Monday.